Gutter cleaning is important if you want to keep your downpipes and gutters unclogged, and protect your building from water damage. Our expert gutter cleaners will use modern tools to ensure that everything is properly cleaned. A powerful dry or water vacuum cleaner is used. It has telescopic poles with tiny cameras on top, so that the cleaners can see any debris and get rid of it. Ashlee House Cleaning offers a 1-month quality guarantee. If your gutters get clogged within 30 days of the cleaning, we will send a cleaning team to do the job again! We have adequately prepared and skilled roof cleaners who will use powerful pressure washing gear to remove algae, mould, lichen, greasy stains and moss from roofs. House roof cleaning is necessary if you want your home to look good, and is also important due to the fact certain dangerous growths can basically “eat” and damage your roof if left untreated for long. Our service is fully insured and at a fantastic price! For help with clean-up your roof and gutters, keep in mind to book our general window cleaning service right now! If there's no company, who can care of your industrial building windows, possibly, the experienced and enthusiastic window cleaners in Coldharbour and New Eltham SE9 are right here to give you a hand. We are additionally available for business window cleaning services in Coldharbour and New Eltham SE9. All kind of industrial properties are accepted: hotels, offices, restaurants, IT buildings, stores. Note that our specific safe system for gutter and window cleaning can reach up to 4th floor. Conservatory window cleaning orders are also accepted! 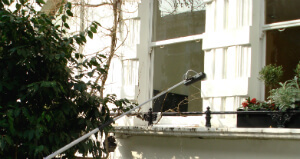 Request top-quality window cleaning in Coldharbour and New Eltham SE9 now! To help to make the booking process as quick and easy as possible, we have integrated a great 24/7 system. You simply just need to get in touch with us by either dialling 020 3746 1366 or filling out our online booking form. You can ask for a free quote or directly book our window cleaning Coldharbour and New Eltham SE9 service right now. Our expert window cleaners can arrive on any day of the calendar year. We have bank holiday and weekend availableness. We have reasonable fees, no covered fees, and no downpayment for booking. We will give you a discount for each other service you request together with the window cleaning. Property managers and property firms get reduced fees as well. Take advantage of our environmentally friendly, professional and inexpensive cleaning services and make a reservation right away. You will receive an e-mail verification inside of the next two hours!